Business Travel Expenses vs. Commuting Expenses - What's Deductible? Is your business driving a travel expense or a commuting expense? If it's business travel, it's deductible as a business expense. If it's commuting, it's not deductible. This article explains the difference. The IRS allows businesses to deduct expenses for business travel by owners and employees, but no deductions are allowed for commuting expenses. The rationale is that everyone commutes (travels to work), so commuting is not a business but a personal expense. On the other hand, expenses for business travel are a business expense and therefore are deductible. 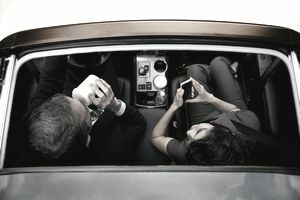 The IRS makes a distinction between commuting and business travel; commuting expenses are allowed only in specific cases, while business travel expenses are usually allowed, within limits. The distance between your home and your place of work is your commute, and the time you spend driving between home and work, no matter how far, is your commuting distance. The IRS does not generally allow deductions for commuting expenses. Think of it this way - everyone needs to get to work, employees and business owners alike, so this expense is not part of your business. Commuting expenses are called "daily travel expenses," and these are not usually deductible as business expenses. One exception is daily travel to and from a "temporary workstation outside the metropolitan area where you live." For example, if you live in Davenport, Iowa, and you drive every day to Cedar Rapids, Iowa (80 miles) every day, you might be able to deduct this driving expense. But be aware that the term "metropolitan area" might be questionable. The term "temporary" is generally accepted by the IRS as lasting a year or less. Here's an example: In one Tax Court case, a self-employed individual who traveled each day from home to temporary work sites up to 96 miles away, and back home each night. That's a long commute, but it's still commuting, not traveling. The Tax Court said that the worker's home and the temporary work sites were all within the general metropolitan area of a large Midwestern city, so the trips were commuting. The IRS considers these circumstances on a case-by-case basis, so it's best to talk to your tax professional if you want to deduct travel expenses. What Do I Need to Know to Deduct Driving Expenses? 1. Is the travel commuting? That is, is a regular back-and-forth to work expense? If it's commuting, it's not deductible as a business expense. 2. Is there a specific business purpose? Can you write a short description of the business activity? For example: "driving to client office to discuss a proposal," or "going to the bank to deposit business receipts." If you can show a business purpose, in writing, you can deduct expenses. 3. Can the specific expense be deducted fully, or are there limitations? Most business expenses are completely deductible, but some are limited. For example, entertainment expenses while traveling may only be deducted at 50%. What Qualifies as a Travel Expense? If you have at least one regular work location away from your home and your travel is to a temporary work location in the same trade or business, regardless of the distance. Generally, the IRS considers that a temporary work location is one where your employment is expected to last 1 year or less. Your home is your principal place of business and the travel is to another work location in the same trade or business, regardless of whether that location is regular or temporary and regardless of distance. The IRS considers that your home is your principal place of business if you deduct expenses for business use of your home (not as an employee). What Business Travel Expenses Can I Deduct? Other business-related expenses while you are traveling. It's important to keep good records on these expenses so you can show business purpose. A note: IRS regulations on expense deductions for travel are complex; the purpose of this article is to give you some general information but not to cover all the details of the IRS definitions and regulations. For more details, refer to IRS Publication 463 - Travel, Entertainment, Gift, and Car Expenses. The IRS has a simple explanation of when transportation expenses are deductible (if your home is not your primary place of business). Refer to IRS Publication 587-Business Use of Your Home for more information on how to determine if your home is your principal place of business.